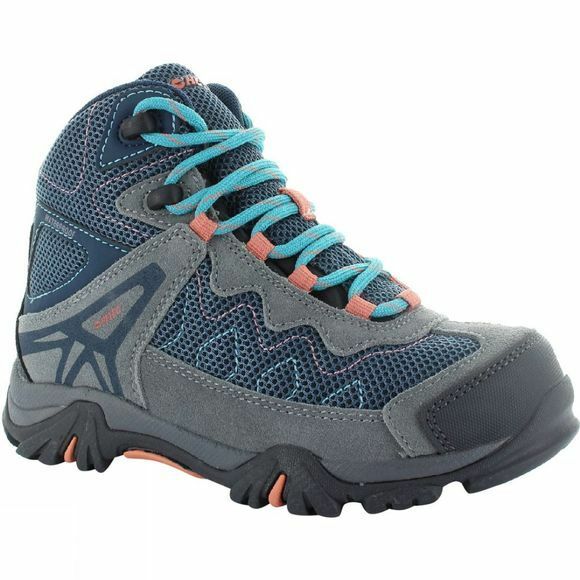 The Girl's Astro Hike Waterproof Boot from Hi-Tec is a sturdy piece of footwear for young explorers. It features Dri-Tec technology for waterproof and breathable protection while the suede and mesh upper offers excellent support and durability. The padded collar and tongue offers excellent comfort for growing feet and the gusset of the tongue helps to keep out debris from the trails. The MDT rubber outsole offers excellent grip across a huge range of terrains to help avoid any accidental slips. The unique Big-Fit system from Hi-Tec allows children's feet to grow, simply remove the volume adjuster when their feet grow and their boots will last that little bit longer.